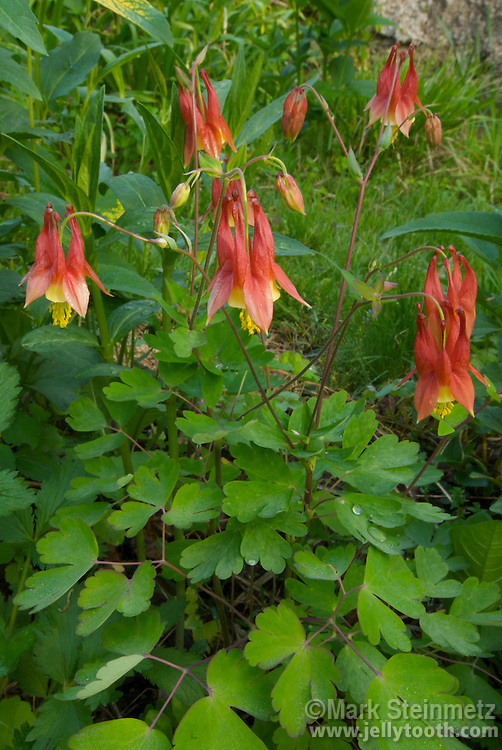 Cluster of blooming Red Columbine (Aquilegia canadensis), with young flowers in various stages of bloom from buds. Long spurs of flowers attract hummingbirds and long-tongued insects, essential for pollination. Native wildflower to eastern North America. Ohio, USA.